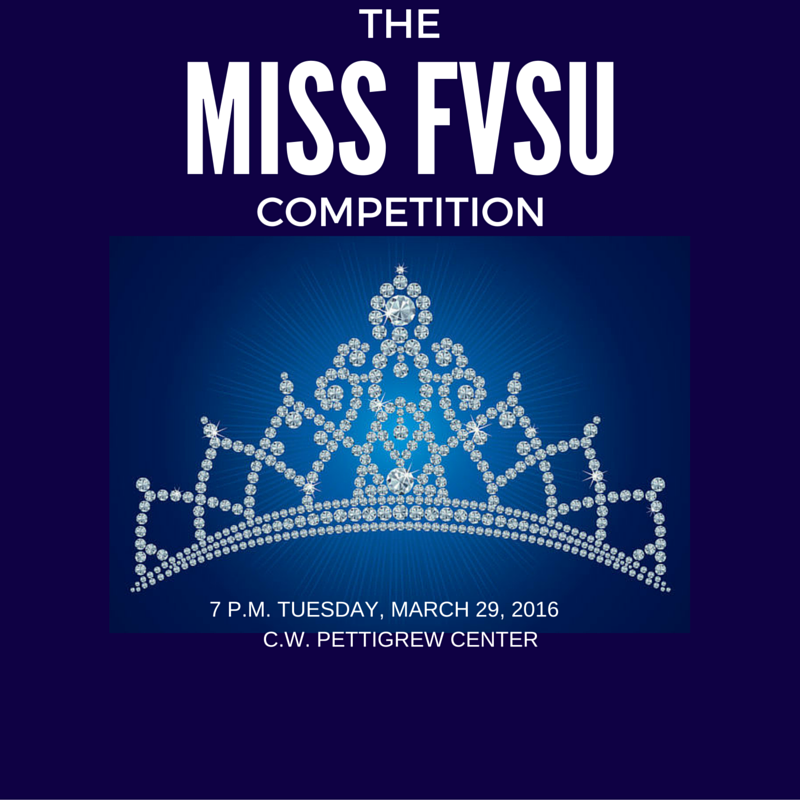 March 28, 2016 – Miss Fort Valley State University Jessica Janay Hatcher and Mr. FVSU Courtney Lester will say goodbye and take their final walk down the runway, after seven contestants compete for their crowns during the upcoming 2016 Mr. and Miss Fort Valley State University Pageant on Tuesday, March 29 at 7 p.m. in the C. W. Pettigrew Center auditorium. The campus holds the pageant annually. The theme is “A Golden Evening in Paris.” The 2016-17 pageant contestants are Amber Brown, Candice Howard, Jamille Ivey, Kevin Mays, Kalo Oglesby, Mercedes Pleasant and Zachery Shannon. Joyce Brown, director of the Office of Academic Counseling and Differently Abled Services, is the university’s official royal court advisor. She said the pageant is a great opportunity for students who interested in becoming the next Mr. or Miss FVSU. The royal court represents the university in parades, special functions on campus and approved functions off campus. The royal court also participates in the Fountain City Classic held the first week in November in Columbus, Ga.
A five-panel judging team, consisting of FVSU alumni and two former queens and the first Mr. FVSU, will select members of the new royal court. The top finalists will give campaign speeches beginning at 7 p.m. on Wednesday, April 13 in the C. W. Pettigrew Center, with elections occurring April 14-15 in the Student Amenities Building. “The coronation is seven months away, and I cannot wait until I’m able to crown the 78th Miss FVSU and wish her luck as she continues the royal legacy,” Hatcher said. For details, contact Brown at (478) 825-1072.